Length: 8 hrs. 45 mins. 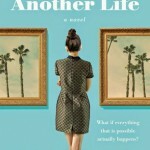 Elsie Porter is an average 20-something, and yet what happens to her is anything but ordinary. On a rainy New Year's Day, she heads out to pick up a pizza for one. She isn't expecting to see anyone else in the shop, much less the adorable and charming Ben Ross. Their chemistry is instant and electric. Within weeks the two are head over heels in love. By May they've eloped. Only nine days later, Ben is out riding his bike when he is hit by a truck and killed on impact. At the hospital she must face Susan, the mother-in-law she has never met - and who doesn't even know Elsie exists. 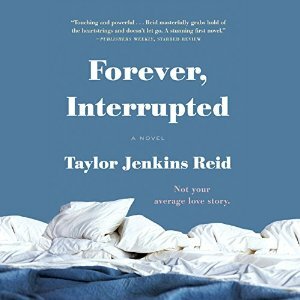 Forever, Interrupted by Taylor Jenkins Reid came out a couple years ago and I’ve been meaning to read it, especially since I really enjoyed Reid’s recent book Maybe in Another Life. Forever, Interrupted is new to audio format – on a whim I started it and couldn’t put it down. It’s a love story that tells you the sad ending right at the beginning. Elsie lost her husband Ben in an accident shortly after their wedding. We learn about their brief but happy relationship through flashbacks and check in on the grieving Elsie in the present day. It’s an emotional, yet hopeful read. I didn’t read the synopsis before I started listening so the events of the story really packed a punch. I had to consider whether I wanted to keep listening because this story seemed like such a downer. (And my worst nightmare) I didn’t think I could enjoy the happy flashbacks knowing how the ending turns out. But I couldn’t tear myself away from Elsie’s story. What Elsie’s character goes through is so realistic and raw that it hurt to listen sometimes. This author is really good at bringing on the feels. Elsie and Ben were together less than six months, and Ben’s mother Susan didn’t even know of Elsie’s existence. 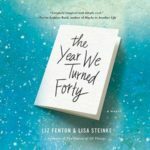 (Susan has had a tough time since losing her husband and Ben was worried how she’d react to the news) They meet at the worst possible time and provide an unlikely support system to get through this unimaginable tragedy. In addition to Susan, Elsie’s best friend Ana is a rock for her, especially because she’s not close to her own parents. Elsie’s a librarian who works at a branch I’m familiar with in Los Angeles. 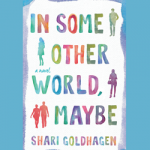 The scenes at the library and the references to YA books (Ben is endearingly a fan) are a nice touch for us book nerds. One of the library patrons, Mr. Callahan, is a great supporting character too. 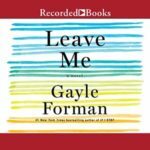 The audiobook is read by Tara Sands, who is fast becoming one of my favorite narrators. The story was so absorbing I didn’t notice the narration too much (that means the narration was good too.) Sands manages Elsie’s emotions with ease; alternately happy, sad, angry, and in love. I also enjoyed her portrayal of the grieving Susan and the lovesick Ben. The chapter titles are months of the year so you know when you are in flashback mode or current day, and the narration makes that clear as well. This was a very fast listen for me and most likely will be on my favorites list. Sands is narrating Reid’s other book After I Do (out in audio Sept. 8) and I look forward to catching up with that one next. 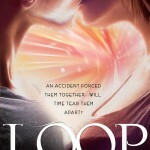 Forever, Interrupted is a moving book about love and loss that tugs at your heartstrings. I did not cry when listening to this one, though I’d have your tissues handy just in case. 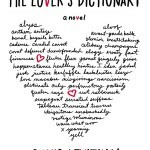 I just read that there is a movie adaptation in the works with Dakota Johnson attached to star. I’m so glad you loved this one. Taylor Jenkins Reid is an autobuy author for me. My favorite of hers is After I Do. Forever, Interrupted was so heart-breaking. Her ability to draw you right into Elsie’s heartbreak was stunning. I’m so excited for the movie! I finished this one recently (in paper format) and just loved it. 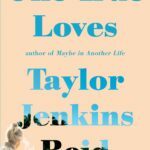 I read After I Do last fall and I really like Reid’s ability to tell a not-so-ordinary love story, as both tell the love stories in flashbacks and both involve a wide variety of falling in love stories– whirlwind, falling back in love, etc. 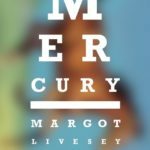 I have Maybe in Another Life up next to read… I’m excited to see how that is, as it sounds even more different from her previous two books!